My children are always asking to do something with me. They are seeking connection with me throughout the day. If I’m honest, it’s sometimes inconvenient. And dare I admit, slightly annoying at times. I’m cringing because I know that sounds bad if you don’t know me or my family well. I love this amazing bunch of mine. That being said, sometimes when they ask I’m busy trying to do something around the house. Or I might be exhausted from a long day of teaching and managing our home. Regardless, I want to honor their needs for connection as much as possible. I know it’s the key to building and maintaining the kind of relationships that I want to have with them. So I’ve decided to come up with a family fun calendar for each month. This way I’ll have ideas of things to do with the kids each day without thinking. Someone please tell me I’m not the only one who suffers from decision fatigue. I’m guessing not, so I’m offering the free family fun calendars to my subscribers each month! That way you can have a list of easy activities to do with your children right at your fingertips too. Now, you might have thought I’d lost my marbles when I mentioned ideas for each day. The majority of the activities take no planning and have no cost. 😉 You can always look ahead for the week and see if there’s anything you need to pick up. Also, feel the freedom to skip around if you need to. This is supposed to be helpful so make it work for your family. For example, during the month of June your family will enjoy a thumb war tournament, a pajama party, an indoor picnic, take silly family pictures, and much more! I think these activities will be fun for all ages in your family. You may have to cajole your teen in to participating in some activities but they’ll end up having a great time to. If you want even more family fun ideas, check out our Easy Family Pack. If you’re not a subscriber and would like join the party and receive monthly family fun calendars, just enter your information below to sign up for my emails. There’s lots of great, exclusive content, freebies, and encouragement. Previous Post: « The Lion, the Witch, and the Wardrobe Book Study – Free Printables! 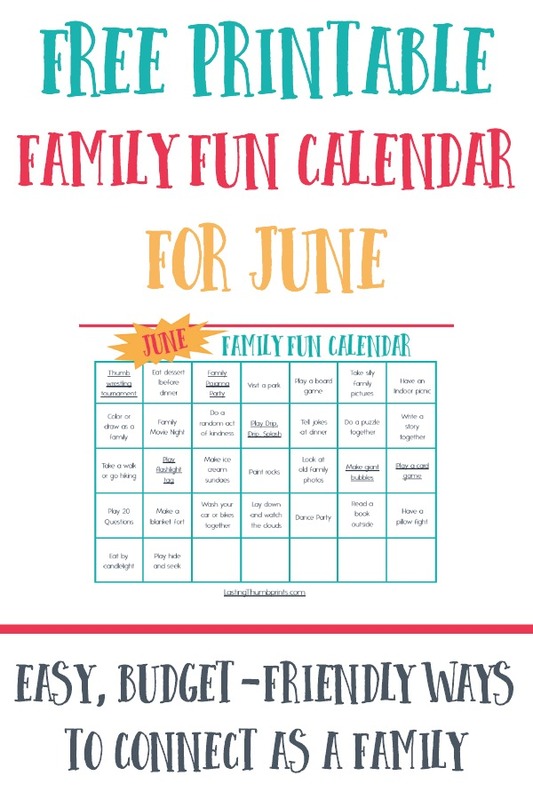 We really like the monthly Family Fun Calendars! 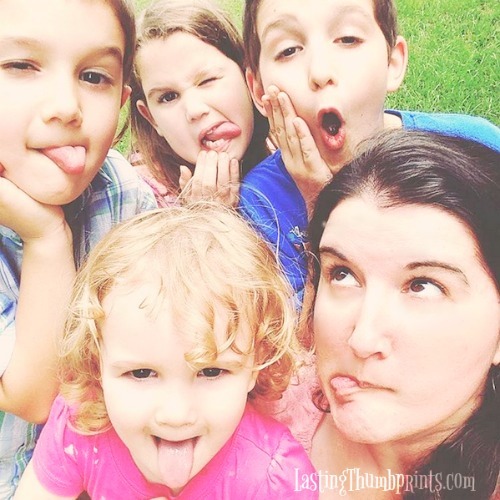 There is nothing that can replace the enjoyment of doing your suggested activities as a family! Do you have a calendar for the months of April and May?